Soprano, Jessica Cale, is currently studying with Rosa Mannion on the Masters of Performance course at the Royal College of Music. Jessica is the Robert Lancaster scholar and is also generously supported by the Countess of Munster Trust and the Josephine Baker Trust. 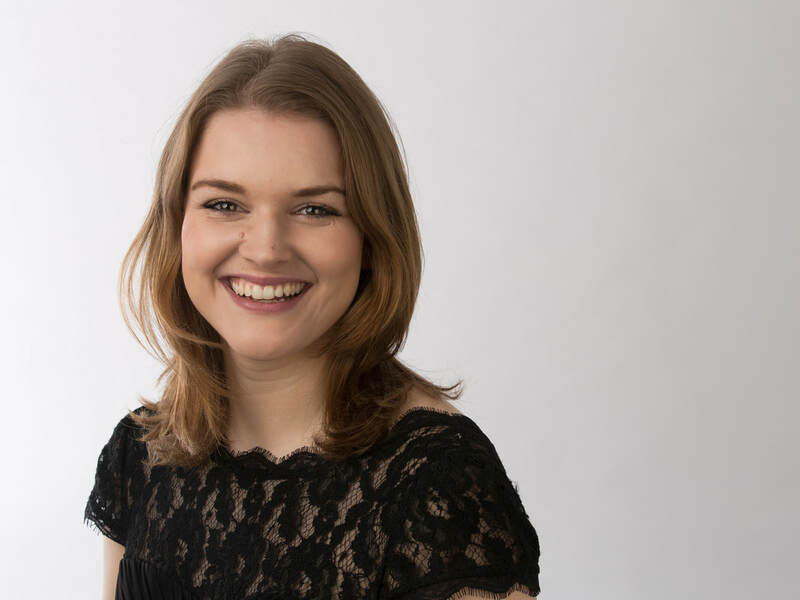 Jessica is originally from Pembrokeshire, West Wales, and was awarded her undergraduate degree from Cardiff University in 2014 receiving First Class Honours and the D J Lloyd Prize for outstanding performance in her final public recital. Jessica gave many solo performances during her time at Cardiff University, including two performances alongside the University Chamber Choir at Llandaff Cathedral of Bach's Wedding Cantata BWV 202 Weichet Nur, betrübte Schatten and Vivaldi's Nulla in mundo pax sincera. Jessica’s operatic experience includes the roles of Despina in Mozart’s Cosi fan tutti (Ryedale Festival Opera); Serpetta in Mozart’s The Garden of Disguises (Ryedale Festival Opera); Dido in Purcell's Dido and Aeneas; and Tina (Flight, Dove), Fortuna (L’incoronazione de Poppea, Monteverdi), Musetta (La Boheme, Puccini) and Melisande (Pelleas et Melisande, Debussy) for the Royal College of Music Opera Scenes. Jessica has participated in Masterclasses at the RCM with Edith Wiens and Roger Vignoles. In addition to her studies, Jessica has a successful career performing as both a soloist and as an ensemble and consort singer, working regularly with many of today's leading Baroque vocal ensembles including the Orchestra of the Age of Enlightenment; the Monteverdi Choir, The Sixteen and the Gabrieli Consort. Jessica has performed as a soloist for Sir John Eliot Gardiner in Mendelssohn's A Midsummer Night's Dream at the Barbican Centre, and in March of this year alongside Mark Padmore and Roderick Williams in seven performances of Bach’s St Matthew Passion across Europe with the Orchestra of the Age of the Enlightenment. Jessica's most recent concert performances include Brahms’ Requiem, Handel’s Messiah, Poulenc’s Gloria, Mozart’s Requiem, Mozart’s ‘Great' Mass in C Minor, Mendelssohn's Elijah, Monteverdi’s Vespers, Handel’s Dixit Dominus and Vivaldi’s Gloria.